A new library is being planned for the center of Aarhus, Denmark&apos;s main port city. It will certainly contain books on shelves. Beyond that, it will not resemble the hushed and stately central libraries of the past. 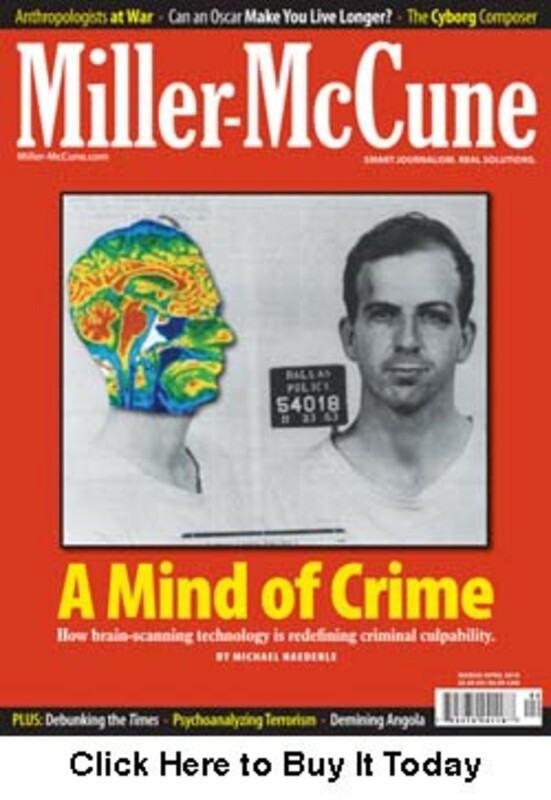 In fact, it is referred to not as a library but an "urban mediaspace." The building will include flexible conference and project rooms, multimedia learning labs, performance venues, studios for artists and business startups, a shop, a cafe, a tram station and government-service offices where patrons can, for example, apply for social security. Its design competition envisioned "a layered structure that can be navigated like a home page." It will anchor a sizable stretch of industrial waterfront that will be redeveloped as an esplanade for festivals, markets, sports and leisure. The winning entry shows an irregular, seven-sided, glass-walled building with generous roof overhangs that seem to simultaneously extend protection over the public realm and invite people into a hive of visible activity. A mixed-use, multimedia complex that is meant to foster social interaction and creative ferment as much as reading and research, the library of the future is also intended as an engine of city-center rejuvenation. Examples have gone up in dozens of places around the world, including Salt Lake City; Vancouver, B.C. ; Chongqing, China; the Spanish island of Tenerife; Delft, the Netherlands; Brisbane, Australia; and Cardiff, U.K. Versions are planned in Philadelphia; Oslo; Turin, Italy; Amsterdam; and other cities large and small. These library buildings incorporate a constellation of nontraditional and even non-library uses, like cafes, shops, theaters and auditoriums, galleries, classrooms, conference centers, meeting rooms, recording and broadcast studios, government offices, even housing. Some are placed adjacent to theaters, concert halls and museums to form cultural campuses; others are joined to schools or even hotels. In Australia and New Zealand, says Alan Bundy, president of Friends of Libraries Australia, "it is now generally accepted that new public libraries should not be standalone, but should be, at minimum, within shopping centers as key retail anchors or collocated with other community facilities and agencies such as swimming pools, child care centers, family health and medical clinics — and that they should be multiuse and provide a range of spaces." Architecturally, these new libraries seek to respond to the evolution of information technology and the blending of ways people seek knowledge, entertainment and social encounters. Many have glass walls, which both express their openness to the city and reveal the lively goings-on inside. "The new libraries are very transparent, but what I think most important is the flexibility. We could create empty rooms and furnish them for the next five years and then rethink," says Maija Berndtson, library director in Helsinki. "We see how the customers behave, and then follow their ideas." The traditional library, built to house printed matter, had a fixed layout and purpose-defined spaces. The new libraries typically have open floor plans, uninterrupted interior sight lines and fluid traffic patterns — design approaches that acknowledge technological and cultural shifts. The momentum toward new library design was encouraged by the high-profile 2004 opening of Seattle&apos;s Central Library. Inside this irregularly shaped glass structure, there is a vast reception area called the "living room," where you can read, but also meet people, grab a coffee and chat; it&apos;s no quiet zone, though these exist in the building. The librarians all work together in the "mixing chamber," another big space, accessible to patrons, that is also bustling — acoustically so, too. The book collection is displayed on a single long ramp that wraps up and around the building&apos;s interior, shelved continuously following the Dewey Decimal System. Seattle&apos;s particular innovations may not be perfect or universally adopted, but they do reimagine the library&apos;s spatial organization in response to contemporary needs and uses. Still, the Seattle library is not the best exemplar of the trend. It does contain meeting rooms, an auditorium, a cafe and a gift shop, but not the other non-library uses that might further integrate it with the city. You can&apos;t go into the building to use a research database and take a swim, say, or to find a good read and buy a pair of socks. It has had a positive impact on the local economy and draws tourists for its sensational architecture. But downtown Seattle was hardly moribund when it was planned; urban regeneration was not among its principal goals. 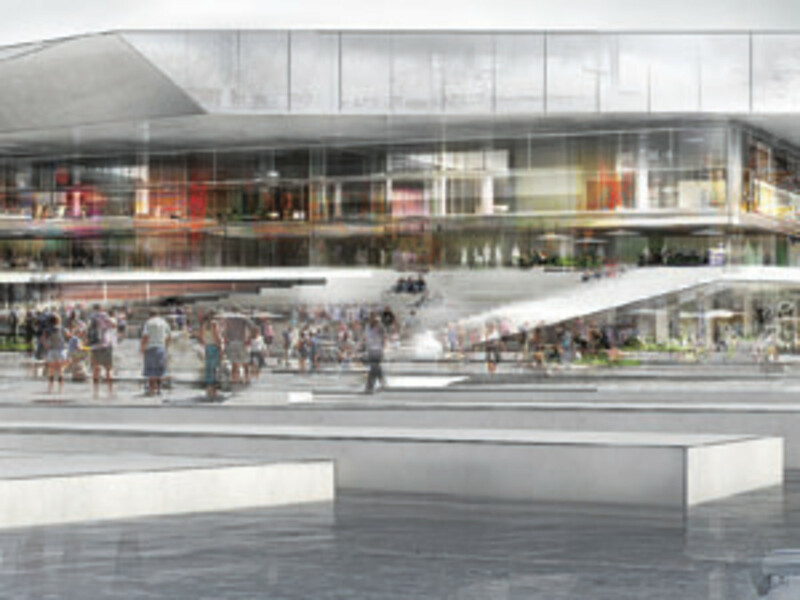 Click the image to see an architectural rendering of a library planned for Aarhus, Denmark. In contrast, for those libraries that fully embody the new approach, "the planning really starts when we can see the connection with the development of the city center," says Berndtson, who is involved in creating the vision for a new central library in Helsinki. So far, the project has a well-defined purpose. That, she wrote recently, is to be "a cultural meeting point, both physical and virtual; the city&apos;s public face ... where interactive democracy takes place...; a place where city-dwellers can spend their free time, feel at home and meet others, a place for the entire family right in the centre of town." Perhaps unusually, the building will not house the library system&apos;s administrative offices or even the bulk of its book collection. "We don&apos;t need the huge collection because it&apos;s so easy to locate it if it&apos;s situated elsewhere," Berndtson remarks. Helsinki planners have now focused on a likely site in the city center, within the boundaries of a redevelopment master plan and adjacent to a major park, a concert hall-conference center complex, a contemporary art museum, and a music center and university-level music school now under construction. If this location is selected, a building can finally be designed. Libraries are valuable components of re-urbanization plans not only for civic but for tangible economic reasons. They are natural people magnets, sometimes receiving several thousand visitors a day. When located alongside other places people need to go, they create destinations with strong drawing power. They also bring stability. A library will be a long-term neighbor with a reliable (and in most places today, rapidly growing) clientele. Should a shop, for example, adjacent to or within the library building move out, the location can still attract another enterprise. Conversely, the mixed-use model can provide "justification for the development work and the money that will go into a main library. It&apos;s the synergy as communities begin to talk about, &apos;What do we need in the urban center to jumpstart a level of activity?&apos;" observes Sari Feldman, executive director of the Cuyahoga County system in Cleveland and president of the Public Library Association. New architectural-landmark central branches in big cities may get attention, but mixed-use libraries are also being built in small towns and even suburbs. In such places, which often lack functional centers and neutral gathering places, they help concentrate activities and foster urbanistic, civic-oriented interaction. For example, Bournemouth is an atypical community for England. "The center of the town is quite spread out," says Shelagh Levett, a service director for the Bournemouth Libraries. For a new building there, the mission statement envisioned "a hub of the community." Completed in 2002, it houses a glass-walled library above street-level shops, overlooking an open triangle — formerly the site of a bus station and still something of a transit hub — that is presently being redesigned as a pedestrian-oriented plaza for events, markets and informal use. The impetus for the new building came less from within the library system than from town leaders, Levett says. They saw it as "a crucial part of a comprehensive development including shopping and leisure," she says. "The overall aim was ... enhancing the community&apos;s sense of identity." For people who grew up using and loving classical libraries with delineated spaces and no-talking rules, the new free-form buildings — and the vitality they encourage — can require adjustment. But these buildings are only responding to present-day needs. "We find ourselves much more at an intersection of information and education," Feldman explains, "and the librarian role is evolving much more into a facilitator role, to facilitate learning." Her Cleveland library, for example, hosts English-as-a-second-language classes and has career counselors on staff to teach people how to search and apply for jobs. She adds, "I would put theater and music and art as part of the learning." The central library in Philadelphia opened in 1927. A major expansion will add a glass pavilion with shops, a 550-seat auditorium, a teen center and "areas where people can create content," says Sandy Horrocks, its vice president for communications and development. She says that with recent changes in the publishing landscape, many authors and musicians cannot expect their work to be issued commercially. But, she says, "one of the things libraries can do because of their technology and because of the enormous use of their Web sites [is to] share content with a lot of people." Speaking to another need, she says, "in Philadelphia, 47 percent of the households have no Internet access, which is considerably higher than the national average, so our demand for public-access computers is enormous. So we need to have some flexible space to make that possible." Quiet? Feldman points out that "just introducing computers into the libraries made them noisy. And young people work together, so there&apos;s that noise, too." "The Internet has done a lot in the way of isolating people. We find when we have programs, the attendance is extraordinary because there&apos;s a hunger and desire to talk," Horrocks observes. "People do want to come together and have dialogues and conversations, and libraries are providing that place." Maija Berndtson calls the new malleable, mixed-use model "the boundless library." "The reasons why people come to the library can be many other things than to use the collection," she says. So the library of the future will be a porous container: both a destination itself and a portal to other places, a space for civic engagement and a locus of urban vitality.